Calling all writers, readers, poets, wordsmiths, book lovers and general fans of the written word! The Milford Arts Council and Mick Theebs, the Poet Laureate of Milford, have teamed up to start a group for people who love reading and writing. Meetings take place every other Thursday at the Firehouse Gallery from 7- 8:30pm. Whether you write—or love to read; this is an open invitation for a friendly and spontaneous evening of networking, brainstorming and sharing of ideas. Future plans may include special events, speakers, workshops, blogs, salon nights—all featured around poetry, screenwriting, playwriting, short stories and novel writing, songwriting; for writers and readers alike. 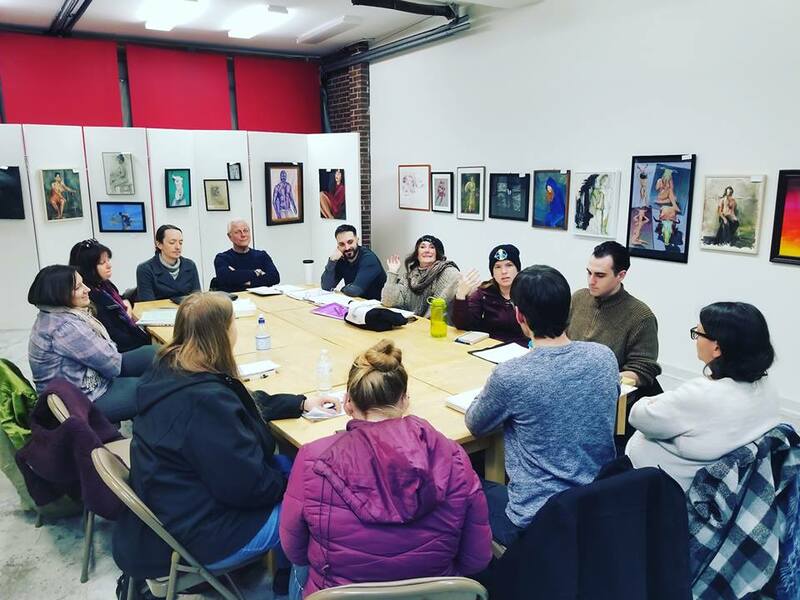 Written Word Writer's Group meets every other Thursday at The MAC's Firehouse Gallery 81 Naugatuck Avenue Milford CT Light refreshments served. If you have any questions, call the Milford Arts Council at 203-878-6647. Let your voice be heard! It's an Open Mic Night for poets, storytellers, and writers. Brought to you by the MAC’s Written Word Writer’s Group and Mick Theebs, Poet Laureate of Milford.